, an artist of temporary fame, was born at Belluno, near Trevisano, in 1659; and having discovered an early genius for painting, was conducted by his father to Venice, and placed as a disciple with Fred. 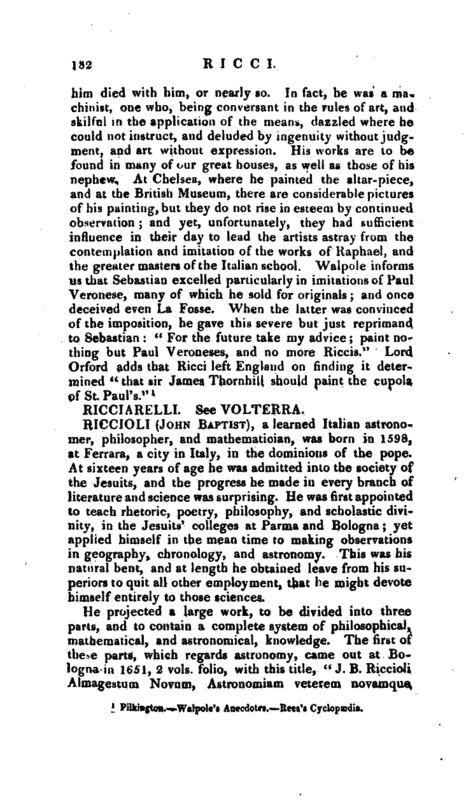 Cervelli, a Milanese artist of good reputation, with whom he studied for nine years. He afterwards improved his practice at Bologna, &c. by copying, and obtained the favour and patronage of Rannuccio, the second duke of Parma. By the liberality of that prince, he was honourably maintained at Rome, studying the productions of the best ancient and modern masters; and there he formed that manner which distinguishes his productions, and for a while raised him into the highest esteem. Having quitted Rome, he returned to Venice, where he was so eagerly solicited for his paintings, that he had scarcely time to take even necessary refreshment. His fame spread through Europe, and he received an invitation to the court of the emperor at Vienna, to adorn the magnificent palace of Schoenbrun. From thence he was encouraged to visit London, where he was immediately and incessantly employed by the court, the nobility, and persons of fortune. 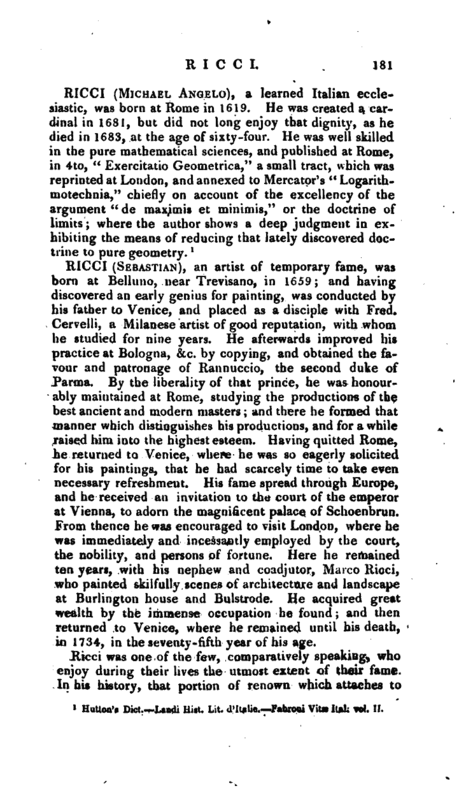 Here he remained ten years, with his nephew and coadjutor, IVfarco Ricci, who painted skilfully scenes of architecture and landscape at Burlington house and Bulstrode. He acquired great wealth by the immense occupation he found; and then returned to Venice, where he remained until his death, in 1734, in the seventy-fifth year of his. age.